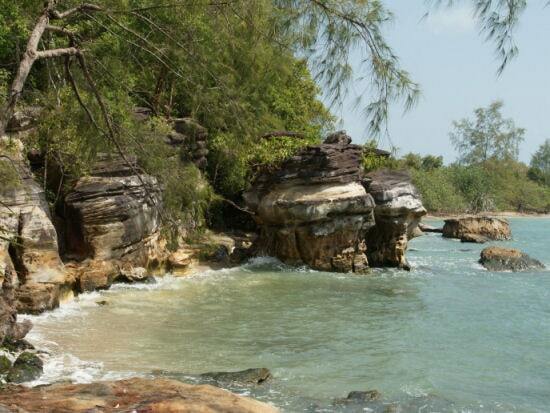 "Four hours from Phnom Penh by bus, Sihanoukville is the largest and most developed town, which is why you should make a beeline for Ream national park, 10 miles east, for jungle walks, mountain treks, mango cruises, birdwatching, dolphin spotting (from December to April)." 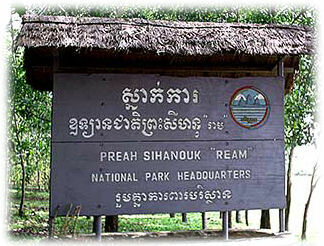 Ream National Park is located 18 km from Sihanoukville and a must see while in Southern Cambodian. The park, which has been open since 1993, encompasses 21,000 hectares including 15 000 hectares of terrestrial and 6000 hectares of marine habitats. This Cambodian national park offers secluded beaches, mangroves forests, tropical jungles, 155 different species of birds, monkeys and during the months of December, January and February the infamous white fresh water dolphin. Registered in 1995, Ream National Park has so far achieved a rare feat: thanks to vigilant, apparently uncorrupted rangers, they've managed to keep most of the mangroves, wildlife and beaches in pristine condition. The park's 200 inhabitants have not been forcibly relocated (unlike similar schemes in Thailand) but have been allowed to stay and continue their subsistence fishing lifestyle. No new residents are allowed, keeping Ream's ecosystem in reasonable balance. 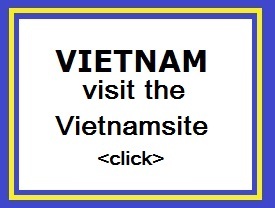 The Cambodian navy has a base at Ream, and sailors may appear unexpectedly; usually they're doing little more than cooking their lunch. The park has landscapes for anyone: mangrove forests, a mountainside waterfall, and miles of beaches unmarked by footprints. Nearly 200 bird species live here, including herons and cranes. King cobras and pythons have been spotted, too, so be vigilant on hiking trails! Though there are plenty of trips offered by travel agents in Sihanoukville, it's easy enough to get here on your own, either with a motodop or by renting a motorbike. There are 35 rangers in Ream park, and several speak English. Trekking with a ranger's advisable: their services are reasonable, at $2/hour. Hikes to meditation mountain and Keng Kong waterfall are popular trips. Another excellent option is a boat trip down the mangrove-lined Prek Toeuk Sap river, done with a group of other travellers. For 1-5 people it's $35, and for 6 or more the going rate is $6 each. 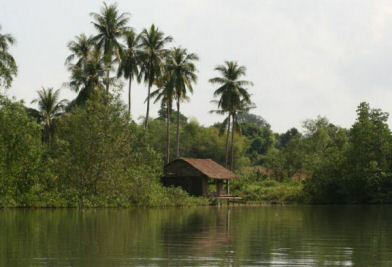 The Prek Toeuk Sap Freshwater River is salty in the dry season as seawater flows inland, and filled with freshwater from ponds in the rainy season. Flying fish cartwheel out of the water, and dolphin sightings are not uncommon.